I know what you’re thinking, but Amelia, you’re a cocktail fiend, where’s the booze?! Well we’re doing something completely different today in honour of you non-drinkers, designated drivers, baby growers, sugar freebies or just those counting the kcals! This bad boy uses sugar free sweets for flavour with fresh lemon and mint to make a super refreshing, sugar free, non-alcoholic cocktail that tastes amazing and also won’t throw your diet out of whack. Room for that second burger on the BBQ then? Score. Sugar Free, Non-Alcoholic Cocktail Recipe with Lemon, Mint and Elderflower perfect for summer BBQ’s! You can get hold of Ricola* sweets for your cocktail at Holland & Barratt HERE! My Skinny Cosmo Recipe – half the alcohol, half the calories but all of the taste! 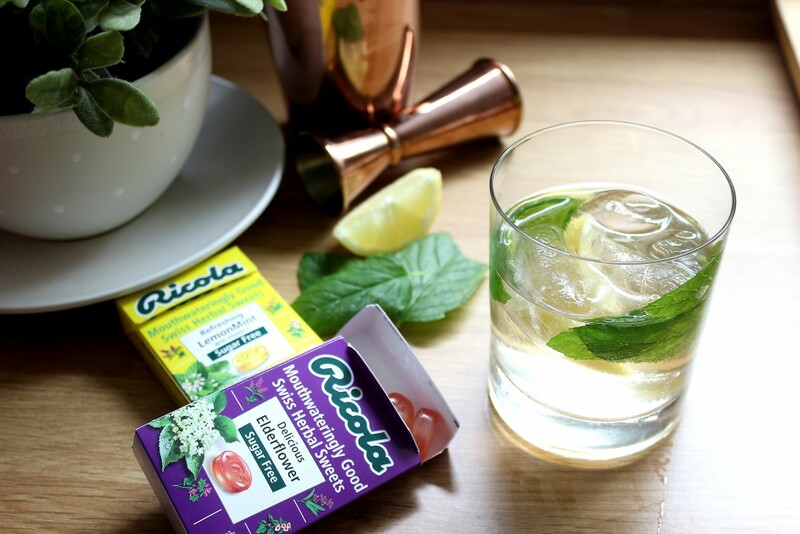 *Sponsored video with Ricola Sugar Free Sweets – recipe is my own brain child…feel free to add a shot of gin if you’re not driving!